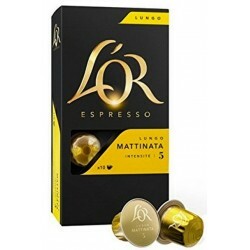 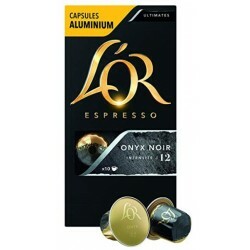 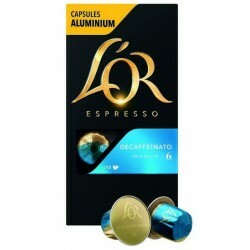 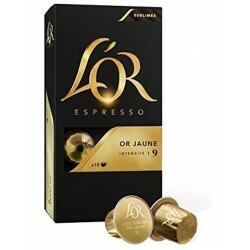 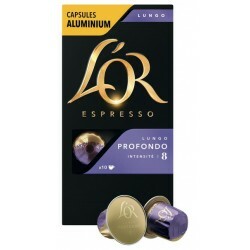 Discover the L'OR Espresso transparent capsules that are compatible with Nespresso® coffee makers. 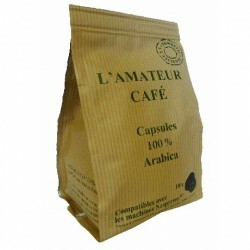 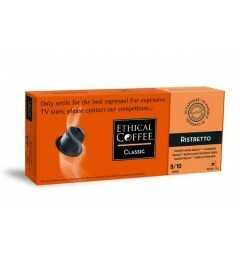 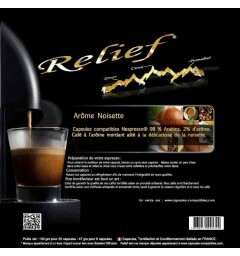 This box is composed of 10 capsules of coffee 100% arabica, for Espresso. 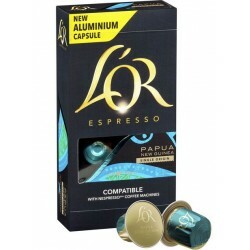 The Splendent Compatible Capsule is a balanced coffee. L'Espresso transparent capsules that are compatible with Nespresso® coffee makers are the espresso of all your enjoyment moments. 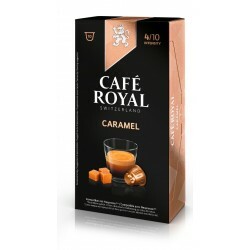 Its refined taste and delicate mousse combined with its aromatic richness make it irresistible. 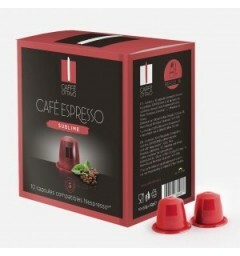 This Splendente box is composed of 10 coffee capsules 100% arabica, for Espresso machine. 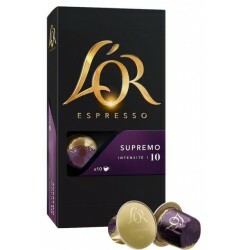 The Splendente Compatible Capsule is a balanced, rich and tasty coffee, offering you an intense aroma perfection, and a richness of taste unrivaled, ideal for all your tasting moments.